Historical Crop Circles, Before People Knew What ‘Crop Circles’ Were - Aliens, UFOs, & the Paranormal - Chickensomething What Are You Afraid Of? 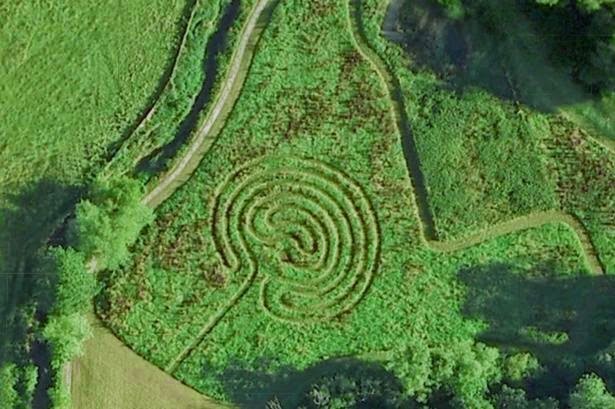 The spiral shape was spotted on satellite maps by a historian researching the fabled Knights Templar, who founded the tiny hamlet of Temple Balsall, near Balsall Common, 1,000 years ago. Perhaps the ancients new them as stone circles?